As Sam Schmidt arrived on site, the air became charged with expectation. For two long years, he and Arrow's SAM Project team had waited with bated breath for an opportunity to drive New York City. That day had finally arrived and, with lofty expectations in store, the camera crew began recording. Pulling up curbside in casual fashion, Schmidt welcomed NBC correspondent Harry Smith. 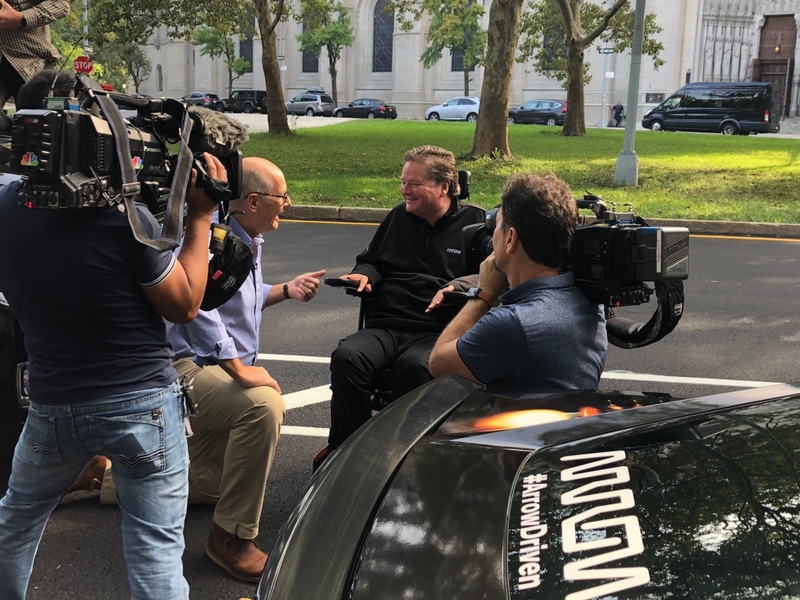 Schmidt has captured attention over the years as a former Indy racecar driver turned quadriplegic, a condition sustained during a training accident in early 2000. 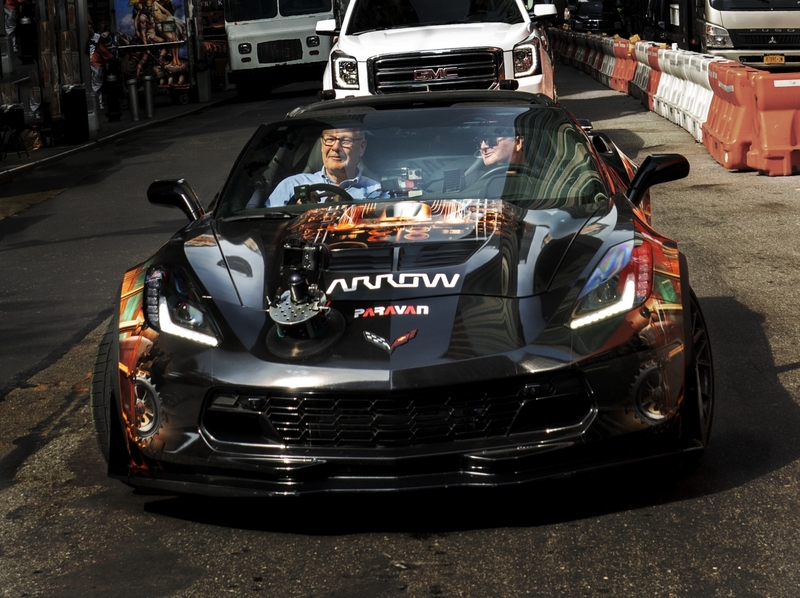 He turned tragedy into triumph by becoming an Indy team owner but, even more remarkable, today he’s the lead driver of Arrow's semi-autonomous experimental Corvette. Nestled inside the cockpit, completely unassisted, he showed Smith how to accelerate, steer and brake the SAM Car with only the motion of his head and a quick puff and sip on a straw. Then, along 5.5 miles of Manhattan, the two of them went for a ride. They cruised the Upper West Side, then headed over to Lincoln Center, around Columbus Circle, past Radio City Music Hall and ended at NBC Studios on Rockefeller Plaza. For Arrow, it was another example of how technology paired with resources can make daily life more accessible. As Smith shared in closing on the show, "The world needs cool stuff that gives people hope." For Schmidt, every time he shifts into gear, it shifts everyone's perspective on what's possible. Nowhere was that more evident than on the streets of Las Vegas in 2016, when he became the first paralyzed driver to receive a conditional license, 100 percent hands-free. This time around, he handily maneuvered one of the greatest megacities on earth.